Georgia approved $13 million in renovations to Sanford Stadium, Stegeman Coliseum and the UGA golf course. Stegeman Coliseum will receive new seating and a new scoreboard. A continuous LED ribbon will be installed around Stanford Stadium. The project at the golf course will expand the teams’ clubhouse by 4,000 square-feet. UT-San Antonio is asking the city to include $25 million in the 2017 bond package that will go to the voters. 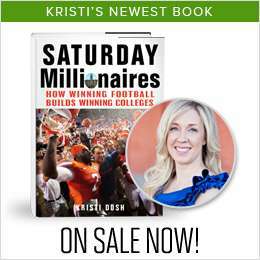 The money will go towards an 80,000-square-foot team facility and the track and field stadium. The team facility would include locker rooms, office space and a weight room. The track and field stadium would receive 1,000 more seats, restrooms and concession stands. Miami unveiled plans for a new $34 million indoor practice facility. The building will feature an 81,000-square-foot indoor practice field and 20,000-square-foot football operations center. The operations center will house coaches’ offices, team meeting rooms and a recruiting sweet. 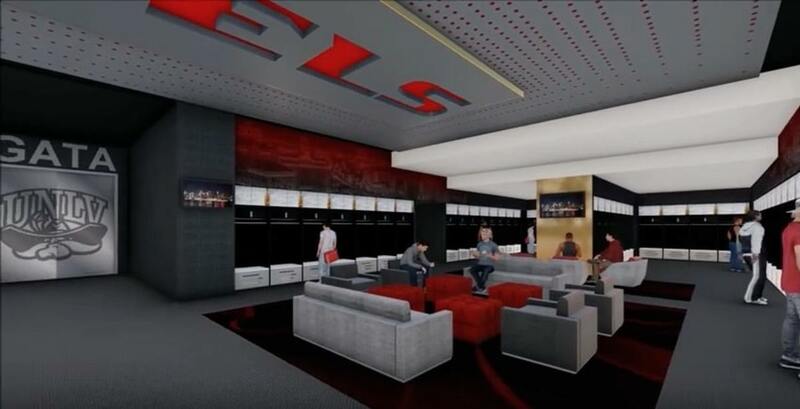 UNLV will build a new, state-of-the-art football training facility. The $24 million complex will include a strength and conditioning center, academic center, locker rooms, meeting rooms, team theater, nutrition bar, sports medicine center and barber shop. Construction on the 73,000-square-foot structure is expected to start in the spring and last for 10 months. Syracuse installed new turf on Ben Schwartzwalder Field. With access to three FieldTurf surfaces, the field was irrigated and sodded for a dedicated grass practice field. Vanderbilt is exploring the possibility of a new stadium. With on-campus sites limited the location would probably be in the existing footprint of Vanderbilt Stadium, which was built in 1922. A new stadium could cost up to $90 million. Kansas moved into its remodeled locker room and player lounge. The players’ lounge includes pool table, air hockey, arcade games, LED lighting and a barber shop. North Texas has issued an RFP for a new Indoor Practice Facility. The request comes as a result of a consultant’s report on the state of the program. The new facility is expected to be complete by June 2017. Ball State will construct a new practice facility adjacent to Worthen Arena. 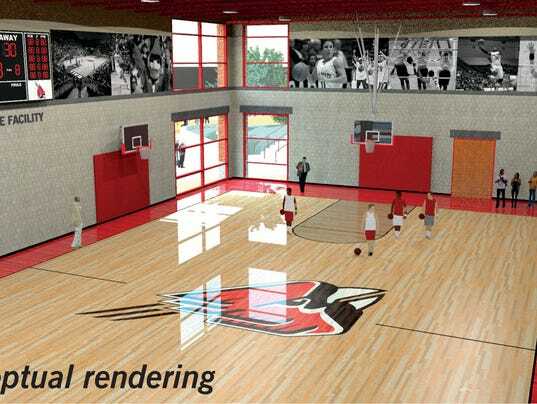 The $6.4 million, 22,000-square-foot project will include two full size basketball courts, meeting rooms and study rooms. The facility is expected to open mid-summer 2018. Oklahoma approved $6 million for the construction of a High Performance Center at the Lloyd Noble Center. The 16,000-square-foot strength and training center will be constructed south of the practice complex and will serve other programs in addition to men’s and women’s basketball. Rider unveiled Jason Thompson Court inside its brand new practice facility. The practice facility is Phase II of the renovation and upgrade to the Alumni Gymnasium, which also includes refurbished locker rooms and office space. Oklahoma began construction of a new practice facility short course. The course will feature holes surrounded by multiple bunkers and each green in a different style. Ole Miss will spend $7.8 million to renovate the Gillom Center. 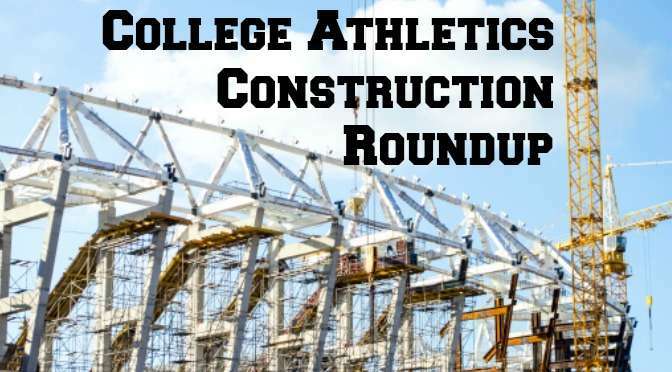 The project includes two new film rooms, a new weight room and an athletic training room. Construction should be complete by summer 2017. Xavier will replace the turf at the Xavier Soccer Complex. The field was damaged by a storm that dumped over four inches of rain. The field will be recovered with FieldTurf. The soccer programs have practiced and played games elsewhere in the interim. St. John’s completed a renovation to the sports medicine therapy room in Carnesecca Arena. The room was upgraded with new flooring, lighting, tile walls, air conditioning and HydroTherapy units. TCU opened the Training Table, a new dining option located in the athletic facilities. Athletes have the opportunity for one meal a day (Sunday – Thursday) each week through the semester. The buffet-style options provide choices that meet the needs of any specific diet (weight loss, maintain weight, etc). The Southern Nevada Tourism Infrastructure Committee sent the proposal for a new $1.9 billion domed stadium to the governor for consideration. The 65,000-seat stadium could also be used as a home site for UNLV football.